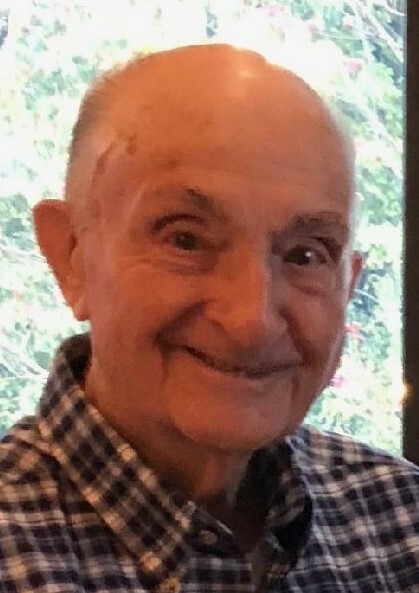 Jesse E. Deacon, 94, of Blackstone, died at his home on March 16, 2019. He was the husband of Shirley (Anderson) Deacon, whom he married on May 30, 1953. Born in Blackstone, MA, he was a lifelong town resident and the son of the late Jesse and Nora (Simmons) Deacon. He served in the US Army during World War II, stationed in the China Burma India Theater as a staff sergeant. He was a graduate of the former Hill College in Woonsocket, R.I. after his service in the war. He worked as Office Manager for the former B.A. Ballou & Co. Inc., in East Providence, during which he served as president of the Jewelers and Silversmiths Management Association in 1970 and 1971. He retired in 1987 after 32 years but remained active in many facets of life, including as a member of St. Mark Lutheran Church of Woonsocket. After retirement, he was in the advertising department at Southwick’s Zoo in Mendon, MA. He was a recipient of the Blackstone Valley Chamber of Commerce’s Tourism Award in 2006 for his tireless efforts in advancing tourism in the valley. He was also clerk of the Board of Directors with the Daniels Farmstead Foundation in Blackstone, where he played a key role in the preservation of the farm. He was a member of the Blackstone Historical Commission for 31 years and Mendon Historic Society, the Chestnut Street Meeting House and Cemetery Association, and the Board of Directors of the Blackstone Cemetery Corporation. Jesse was also a longtime member of the East Blackstone Grange and co-chairperson of the East Blackstone Fair from 1950 to 1961. He had a long-standing love of the circus throughout his life, and a fondness for animals as a gentleman farmer with his annual flock of sheep and beloved horse Mr. South. He also appreciated and celebrated outdoor show business, attending fairs large and small across the country. He is survived by his wife of 66 years Shirley and their two daughters, Debra Bissonnette and her husband Roger of Blackstone, MA, and Donna Katzen and her husband Jeff of Chepachet, RI; three grandchildren, Jessica Bissonnette-Whittemore and her husband Aaron, and Jonathan and Jenna Bissonnette. His funeral will be March 20, 2019 at 11:00 AM at the St. Mark Lutheran Church, 871 Harris Ave., Woonsocket. Burial with military honors will follow in Blackstone Cemetery, Mendon St., Blackstone, MA. Calling hours are Tuesday from 4:00 PM - 7:00 PM in the Holt Funeral Home, 510 South Main St., Woonsocket. In lieu of flowers, memorial contributions may be made to the Gift Fund of Blackstone Historical Museum, 15 Saint Paul St., Blackstone, MA. 01504 or the Memorial Fund of St. Mark Lutheran Church, 871 Harris Ave., Woonsocket RI.